Scroll down for details and photos of options from the drop-down menus above. 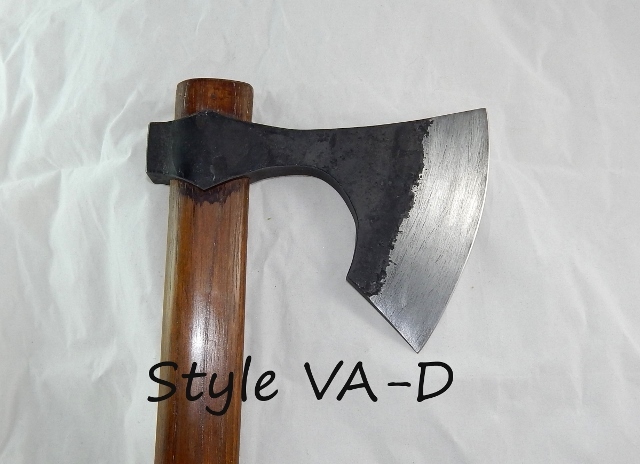 Blade style C (approximately 6.5" cutting edge) with standard gray finish and optional sharpened toe (top curve where it meets the cutting edge) and heel/beard (bottom curve where it meets the cutting edge). Blade style D (approximately 4.5" cutting edge) with black scale finish. Blade style E (approximately 3.5" cutting edge) with silver finish. This finish still has the traditional draw-filing but is not grayed. It is NOT shiny like a mirror, just brighter than our standard gray. 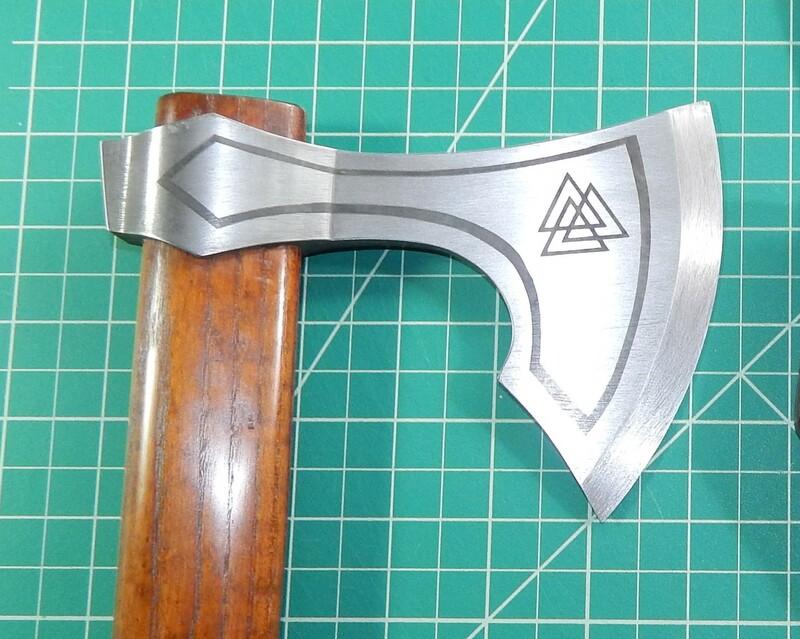 Also, this photo shows the axe with a custom etching. This etching is NOT included in the price. 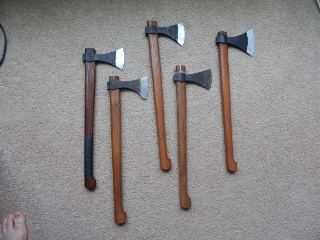 If you would like something etched into your axe head, please contact us prior to ordering. 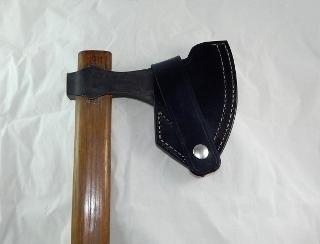 Leather sheath in black with two rows of stitching and heavy duty line 24 snap. Leather sheath in tan with optional copper rivets and Sam Browne button closure.